In this episode, we discuss the resettlement process and the many challenges refugees face when coming to a new country. Josh Hinson, MSW, assistant professor in the School of Social Work and director of the UNCs Global Transmigration Refugee Wellness Initiative, and Jessica Tufte, a student in the Department of Health Behavior, join us to share their experiences. Josh. Working with refugees has helped me appreciate how traumatic all immigration is, undocumented or otherwise. People don’t leave home because things are going well, they leave home because their lives and livelihoods depend on it. My name is Josh Hinson, I’m an assistant professor in the School of Social Work. Jessica: Thank you for listening to Public Health Behind the Scenes. This is Part Two of our story on refugees. Naya: This episode is about the resettlement process for refugees. If they’re lucky, they have a chance to be permanently resettled into a 3rd country, able to escape horrible traumas, but continue to face incredible challenges upon coming here. 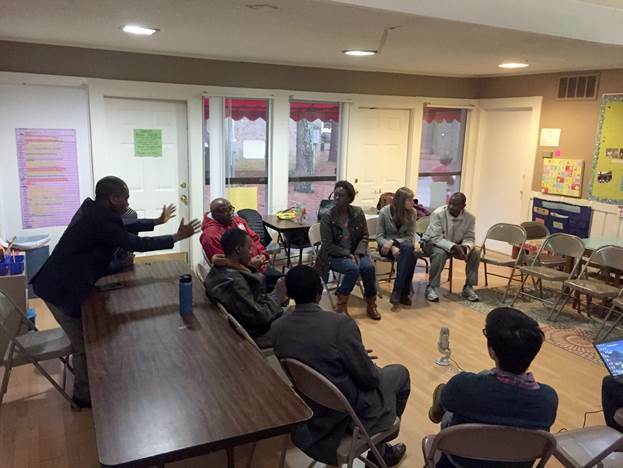 Jessica: To help us tell this story you’ll hear from Josh, Director of the University of North Carolina’s Global Transmigration Refugee Wellness Initiative whose goal is to address both a shortage of mental health services available for refugees in the Triangle. And then we have Jessie, a student in the health behavior department at the UNC Gillings School of Global Public Health and who has been working with this population for some time. And you will be hearing from a group of Congolese and Burundi refugees themselves (we have omitted names for privacy), translation services provided by the resettlement agency. Naya: You will also be hearing a new voice to this episode’s narration. Natalie, our student producer and transcriber extraordinaire, will be helping us tell this story. Let’s begin with context for the resettlement process. Natalie: Basically someone starts in their country of origin, like Burma or Iraq, and many times they flee and that is how they get to a refugee camp. Many times a refugee camp is located in an adjacent country, or sometimes there just isn’t a refugee camp nearby. For example if a Burmese refugee would flee to Thailand, there are a ton of refugee camps on the border, but if they were to flee to Malaysia, the Malaysian government does not have a refugee camp. In this case, refugees end up living undocumented until they are able to meet with someone from the UN (United Nations) to start the refugee process. Jessica: And that process of being permanently resettled into a third country can take a long time (sometimes 10 years or more). One reason being the UN works to negotiate first to improve conditions in the country of origin to make it possible for refugees to return home. In many cases, most refugees want to be able to go back home, they don’t want to have to go start over somewhere else. Other reasons why an incredibly small percentage of refugees are permanently resettled in a third country is that many times people unfortunately die in refugee camps, or people try to go home anyways. Natalie: Those who make it to the application process through the UN and are approved for resettlement in the US go through security checks and are then allotted to the US federal government. The United States has nine agencies it works with to distribute these refugees. To help with the financial logistics, the International Organization for Migration (IOM) gives the refugees a loan in order to pay for their flight to the US which they do need to repay (with about a six-month grace period). It’s an interest-free loan unless you default on it, and this is problem.) That’s basically what goes into getting them to the United States where they begin the relationship with the resettlement agency’s case manager. Jessie: There were a few points where I was responsible for 40 newly arrived refugees who had been in the country less than 70 days each. Naya: That’s Jessica Tufte; she’s the health behavior student we mentioned earlier. Jessie worked with a resettlement agency in New York before starting her graduate program here at UNC and took one of Josh’s classes. She’s joining the conversation to share more about what refugees experience through the resettlement process, starting with expectations and how they can be so dramatically different from what they actually experience. Jessie: So a case worker is responsible like I was mentioning before, renting an apartment, negotiating with that landlord even, dealing with a number of utility companies at once, making sure somebody is at those locations when the utilities are turned on, making sure there is furniture in the house, making sure there is food in the house, making sure it is all setup so the refugees don’t have to come and put their furniture in the places that make sense or make their bed, all that stuff is done when they get there. They need to pick them up from the airport, that they have car seats if necessary, that they have an interpreter and then they can take them to the house. And this is all before the real fun starts. And you’re doing this for multiple families at one time. So you pick them up from the airport and this is usually unfortunately somewhere between the hours of 11 p.m. and 1 a.m. and you’re taking them back to the place and teaching them to make sure they know how to use the shower, the toilet, the sink, the oven, the stove, any other appliances, make sure they knew how to lock the door is a huge thing. Being up from New York, we had to definitely knew how to use a furnace which is very challenging, because when it’s getting cold they turn it all the way up, and when it’s warm they turn it all the way off, which is incredibly expensive, instead of leaving it just in the middle there, so all these little things, making sure they know what that beeping is if the smoke detector goes off, all these sorts of things on that first day. Giving them a cell phone, saying this is what 9-1-1 is, asking them if they have heard of 9-1-1 before, have you used a cell phone before, these numbers here mean the numbers on the keypad, this is all still less than an hour into their arrival. Natalie: So to be clear, all these resettlement services are contracted out by the Office of Refugee Resettlement or ORR (Church World Service, World Relief, US Committee for Refugees and Immigrants (USCRI), and Lutheran Services Carolinas) are non-profit organizations that contract to provide these services and ORR has a list of core services they are providing these funds for. Now how these resettlement agencies provide these services, there is a lot of variability there. Jessica: The Resettlement Services Program lists these core services to include finding housing, providing furniture and basic supplies, airport pick-up and orientation sessions, arranging social security applications, assisting with food stamps, welfare, Medicaid applications, arranging health screenings, referring for employment, arranging ESL classes, school immunizations and registrations and the list goes on. Naya: However, in these core services, mental health is not a required service for resettlement agencies to provide. And while the challenges experienced by refugees vary by location and situation, remember, those being resettled have in most cases left everything behind and are fleeing under unimaginable circumstances. Jessie: There are a lot of first-hand accounts I have heard, there is one Iraqi woman whose husband was shot in the head right next to her while he was driving the car … the list is just unfortunately too long … soldiers knocking on someone’s door, taking away someone’s father, never seeing him again, don’t know if he is alive still, taking away sons for conscription, I mean countless rapes, everything really that you can imagine in a nightmare is a reality for these people. Refugee: Being here in America I find it very difficult that it reminds me of all those problems that I find, leaving my country, living this very hard life in refugee camp, I’m sitting right here thinking where should I go, what should I do next? So, if we sit down and each talk about his own story, most people will be crying, so when you ask to talk about our story, most of us will not share because we don’t want to remember what has happened in the past. So that’s the reason why we’re here. We left our country in a bad situation, we don’t want to remember, so please forgive me if I’m not going in to details, I’ve seen a lot, I was in a refugee camp for 23 years, so I’ve seen a lot. I have a lot of experience as a refugee, I’ve seen a lot and I don’t like to share what I’ve seen. Natalie: In addition to needing to resettle and start again in the United States, many, if not all refugees are coming here carrying incredible traumatic experiences. Josh’s group helps to fill this gap, but because the burden on resettlement agencies is so much, they often end up doing more. Jessica: Remember that list of all the things that have to happen to get someone settled into the United States? These services aim to tackle the greatest challenges refugees face upon resettlement. Josh: Generally, access to services, there is employment, but finding appropriate employment. Many of the refugees have skills and were professionals in their home countries. They were lawyers, or nurses, or had other vocations and it’s very hard for them to get similar work here. So there is underemployment, people are not able to realize their full potential. Access to English classes. Access to primary health care services is sometimes daunting, so we wind up doing more case management than we had anticipated. In our first year we said, “We are not doing case management. They already have case managers, we are not duplicating treatment.” And we quickly developed the mantra that it doesn’t have to be therapy to be therapeutic. And so we have done more case management, but what we try to do is coordinate closely with the resettlement agency to focus on mental health case management and identify mental health issues that are preventing people from accomplishing some of these tasks on their own and then helping to develop a plan around that. Community integration support, partnering with volunteers to have neighbors and community members to help with finding ways so people don’t feel totally socially isolated, I think that’s one of the biggest roles these community adjustment support groups have played (like the Congolese group in Raleigh) that has been so empowering, is for them to come together and say we’re all dealing with the same issues and to feel empowered. Jessie: A lot of times, refugees who have had access to movies and television abroad often see Hollywood portrayals of what it’s like to live in America, and that is where some of that expectation is coming from and I think a lot of us living here know that’s not realistic for most of us even. So, additionally they go through cultural or community orientation both abroad and once they get here and we found there are many inconsistencies in these orientations abroad, where sometimes they’re teaching basic English or telling people things that really aren’t exactly true. Refugee: it’s different when you live here and you’re talking to someone whose back home, they think America is a paradise, the reality is not what we expect, and it’s very hard to tell them the reality in America when they think it’s a paradise. Refugee: They cannot believe, they know that America is the top of the world, it’s really hard for them to believe what we are experiencing right now, even if I say the whole truth, they will not believe me, it will be like pouring water, the reality that I’m living today is very different from what I was expecting. Josh: I think we see a very predictable curve, when people arrive, if we are doing the mental health screening with them within the first three months of arrival, they have a honeymoon phase, they are very excited to be here, and very often people are not interested in engaging about their traumatic experiences, and if we ask they say, I don’t want to talk about that, I want a job, I want housing, I want to get my family here and then everything will be fine. If we see them again after they have been here for six months or a year, we often hear a different story, that life is more difficult than what they thought it would be here and that is when we see some of the emotional distress actually increase. Refugee: what we were expecting to find in America is very different from what we are experiencing today, we were hoping to come and find a better job, but even the minimum job is very hard to find, when you get it it’s not the best choice, in order to find a better job I have to go back to school but I don’t have the time to go back to school because I have bills that are waiting for me, so all the things are what I wasn’t expecting. Josh: I think that comes from a feeling of helplessness, that people feel like here their fates depend on so many factors outside their control, like our federal resettlement system, or just the lack of access to housing and other resources, things they can’t change on their own. It’s so much harder to start a business here than it may have been in their home country, so whereas they may be very industrious end entrepreneurial; it’s just not as simple as doing that. Not being able to speak the language or knowing how to navigate some of the social systems. I think that frustration contributes to that. Refugee: I’m doing heavy load work, there will come a time when I’m not able to do my work, who’s going to pay those bills, I’m not going to ask my kids to pay the bills, because my older kids are paying their own bills, they do not receive Medicaid any longer. So I’m hoping my son who is going to school will hopefully get a better job and be able to pay his bills, but myself who is getting older, who is going to pay those bills, how are we going to survive? Refugee: The minimum money I was working to gain I use it to pay for the food, because last time my wife went to the grocery to use the food stamp there was no money in her food stamp. So I’m thinking did America brought us to suffer her because the situation in our country is worse? I’m thinking why did we come here? I have to work and pay for my IOM travel loan, I wasn’t given that money to come here, I have to pay back. Refugee [someone else]: I’m thinking moving to a different state is not going to be a solution, I’ve heard someone who moved to different states and could not find a solution and came back to the original state, I’m thinking if that person come here and share his story, you’ll feel like it’s not different from your story. Refugee: I know for sure America is not a paradise, because paradise is a place where nobody has any problems at all. So even Obama has his own problems, sister Laura has her own problems, and each and everyone your own problems as well, so refugees when we first arrive we are very happy, we an sleep at least on a mattress, be able to eat and sleep, thank you for Laura for bringing you to us. I’m thinking at this moment we’re not refugees anymore, right now when I talk to my kids that we need to go back home, they scream we don’t want to be killed we want to stay here. Naya: It’s this point of desperation that has brought this particular group of refugees in Raleigh together. They may now be safe from the many threats of war, but they are still prey to debt, discrimination, and deep depression as their lives feel stuck in a strange land with no way to move forward. They meet each month to share information and support one another, ideally even, raising awareness about their situation. Refugee: As my friend just shared, sometimes we sit down here and share our ideas, people come and listen to us but nothing gets done. We don’t have less problems, problems becoming more and more … my thought is please share this with others. Don’t just listen but have this problem be known by many people so our problems can be heard and solved. We want someone to listen to us, be next to us and understand our problems. We don’t want to go and chase people, if we have problem, we go to see them. We need someone who will listen and help us find solutions. Naya: If only it were that easy. Josh: The Office of Refugee Resettlement (ORR) is under the Division of Children and Families, covers lots of populations (not just refugees), it’s also unaccompanied minors and survivors of human trafficking, so we saw this happen in 2014 when we had the wave of unaccompanied minors at the border, ORR had to pull their funding out of refugee resettlement to pay for shelter and services for kids at the border, and so a lot of resettlement agencies were looking at having to lay off staff and no longer being able to pay for services for refugees that had already arrived. So these sorts of budgetary issues are always coming up and it is an impossibly fine line that the Office of Refugee Resettlement and the Bureau of Populations and Refugees walk … in that they know about the need and they are also having to navigate the political landmines at the federal level and the congressional gridlock and not being able to ask for more money when people are saying why aren’t you providing more services for people who are already citizens of the United States or for people who are already here and living in poverty. So they want to raise awareness, they want to advocate, and yet they also want to do the best they can with what they have. Jessica: This episode was produced by Naya Villarreal, myself Jessica Southwell, Natalie Smith, and Branson Moore. The entire episode was made possible based on discussions with Jessica Tufte with UNC’s Refugee Health Initiative, Josh Hinson, Laura Garlock and student volunteers of the UNC Global Transmigration Refugee Wellness Initiative. 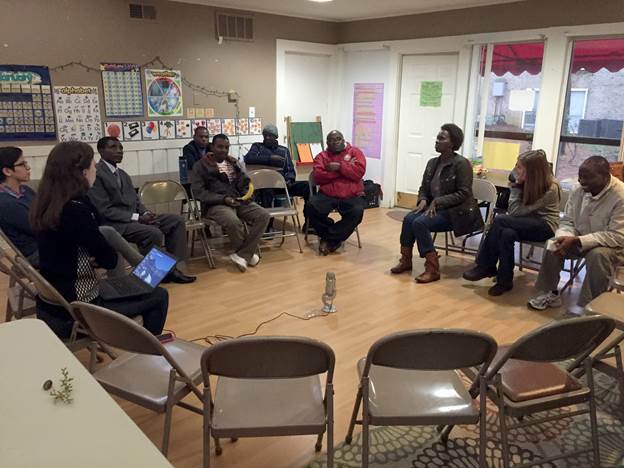 Without their support of this project, we would not have had the honor to sit and learn from the Raleigh Immigrant Community Group. Endless thank you’s to them for entrusting us with their stories. Naya: We’re not done with this story yet. In the next episode we’ll talk with students and faculty who are finding ways to help fill the gaps in services. 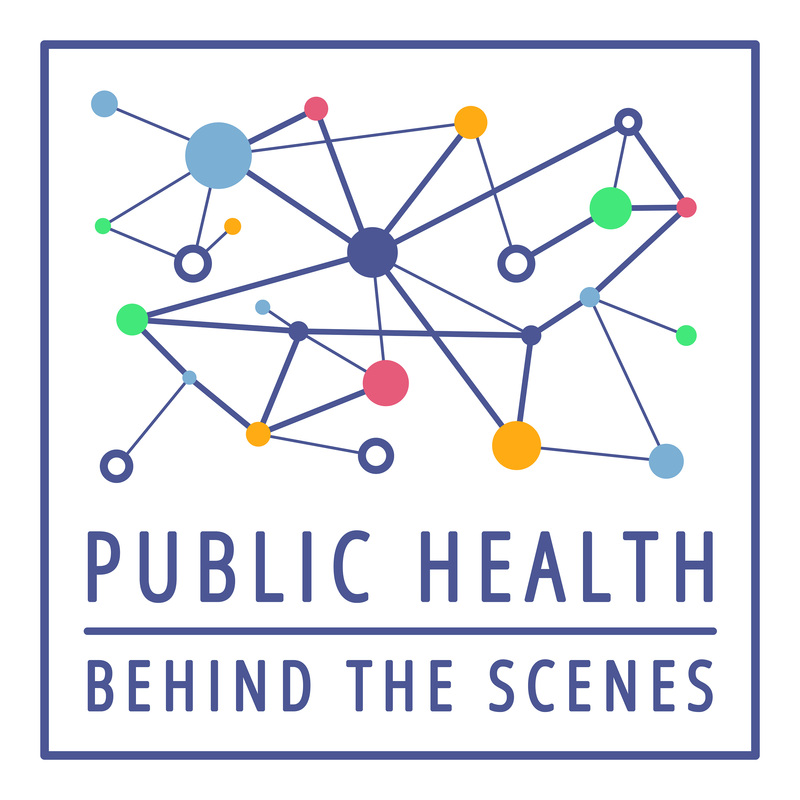 Visit our website publichealthpodcast.com for more information, including ways you can get involved in efforts to improve their situation.